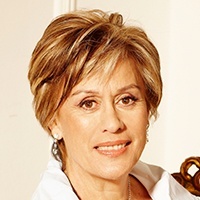 Kiri Te Kanawa was born in New Zealand with Eurpoean and Maori heritage. Kiri started her career after moving to London. The young Te Kanawa sensationally debuted in her first major role in Mozart’s Marriage of Figaro at Covent Garden in 1971 and gained legendary status almost overnight to become one of the most famous opera sopranos in the world. On the concert stage, her natural serenity and vocal beauty has seen her appear at venues as diverse as the Paris Opera House, Hollywood Bowl and the desert outback of Australia. Kiri’s many recordings include opera, classical, and popular music. She has also starred in classic light musical stage productions such as West Side Story and My Fair Lady. Created a Dame Commander of the British Empire in 1982, Dame Kiri was in 1995 awarded the prestigious Order of New Zealand. As a soloist at the wedding of HRH Prince Charles in St Paul’s Cathedral, Dame Kiri faced one of the largest direct telecast audience of any singer in history (estimated to be over 600 million people). In 1999 Dame Kiri released an album, “Maori Songs”, a tribute to her background and homeland, and in 2000 performed in Gisborne to welcome the first dawn of the new Millennium. Broadcast to over 80 countries it attracted an estimated audience of over one billion people. In 2004 Dame Kiri launched the Kiri Te Kanawa Foundation which aims to give support and financial assistance to dedicated New Zealand singers and musicians. Dame Kiri continues to perform in concert halls throughout the world.